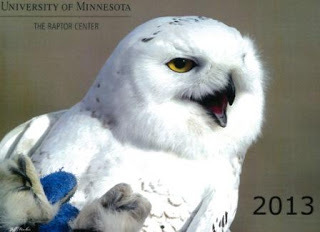 You can order your 2013 TRC Calendar online through the University of Minnesota's Bookstores. We have many new clothing items, hats, plush toys and jewelry for all your raptor friends. If you purchase a calendar - it is also available in our giftstore - your name will be entered to win this framed 16 x 20 inch canvas.